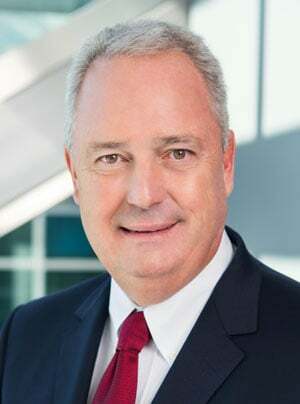 In October of this year, San Diego Fertility Center will open a brand new, expanded facility which will provide fertility treatment and services for its growing patient population. 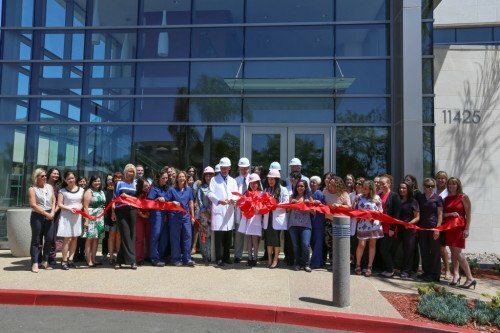 San Diego Fertility Center (SDFC) recently hosted a ribbon cutting ceremony at their brand new, 13,700 square foot facility scheduled to open in October of this year. The new building will not only provide fertility treatment and services for the center’s growing patient population, but will also offer community and educational events to a number of local and international groups. A CAP-accredited (College of American Pathologists), state-of-the-art IVF laboratory with a full glass window for viewing. Two floors of clinic space, with the first floor specially designed for educational enrichment activities and support services for both small and large groups. A state-of-the-art surgical center that is AAAHC-accredited (Accreditation Association for Ambulatory Health Care) and MediCal certified. A dramatic increase in space in all exam rooms, consultation rooms, and education areas. The new center will help support the tremendous growth the practice has experienced in recent years, which has included the addition of three new doctors as well as an expansion into two new locations in the area. Most notably, it will help support the marked growth in international patients visiting the clinic through fertility tourism and travel. Because SDFC is recognized as one of the top fertility clinics worldwide for infertility treatment, it is a highly sought-after destination for egg donation, IVF, IUI, and surrogacy. The center’s work in Asia and Europe has created a steady increase in international patients who wish to travel to the U.S. for fertility treatment or third-party reproductive services. The new facility will help better serve those international patients who have experienced failed attempts at local clinics, or who have been unable to find suitable egg donors and surrogates in their home country or region. 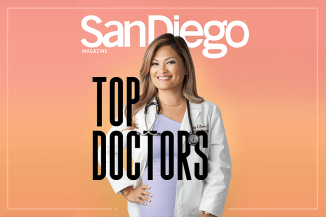 San Diego Fertility Center has gained prominence in the news as well over the past few years, with its doctors regularly appearing in television and radio interviews to discuss topics such as egg freezing and LGBT family building. In fact, the new clinic has already been asked to host local and international professionals for education and development classes. The team behind SDFC believes that its continued growth is evidence of the special attention and care provided at the practice. SDFC’s doctors have 70+ years of combined experience in fertility diagnosis and treatment, and they have helped bring more than 4,000 babies into the world since 1989. San Diego Fertility Center is currently the leading provider of infertility services in the San Diego area and is excited about the future with a new, expanded facility that will help better serve anyone who dreams of starting a family.